The comfortable design doesn't bother to your ear and microphone with high-quality voice chat seamlessly on the internet. 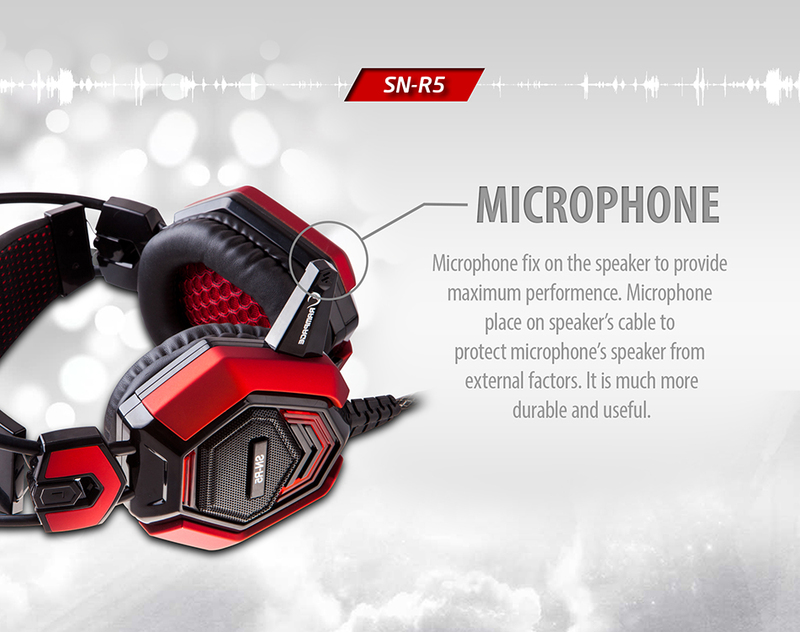 Protect from external sounds with accurate sealed structure. 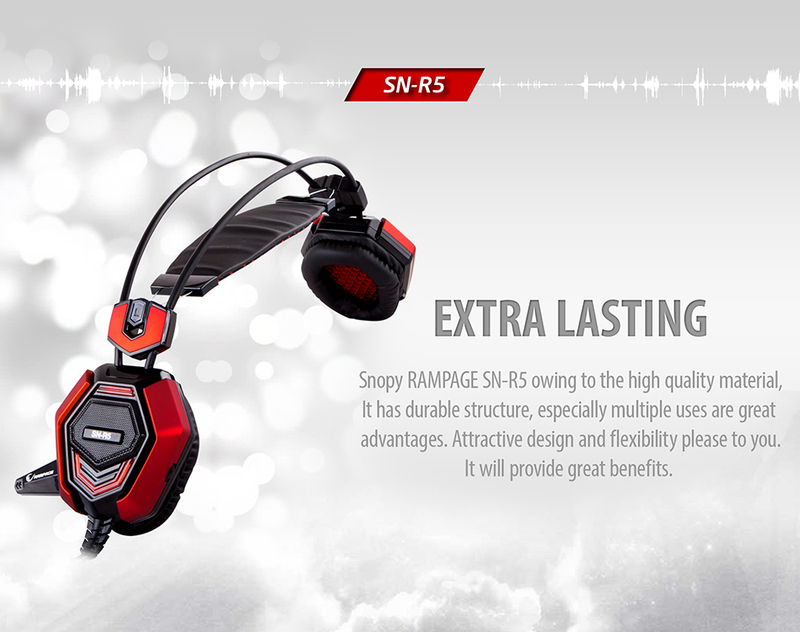 Lengthy cable is longer than the other headsets, it allows you to move freely. Design carefully to ensure the protection and flexibility of the cable. 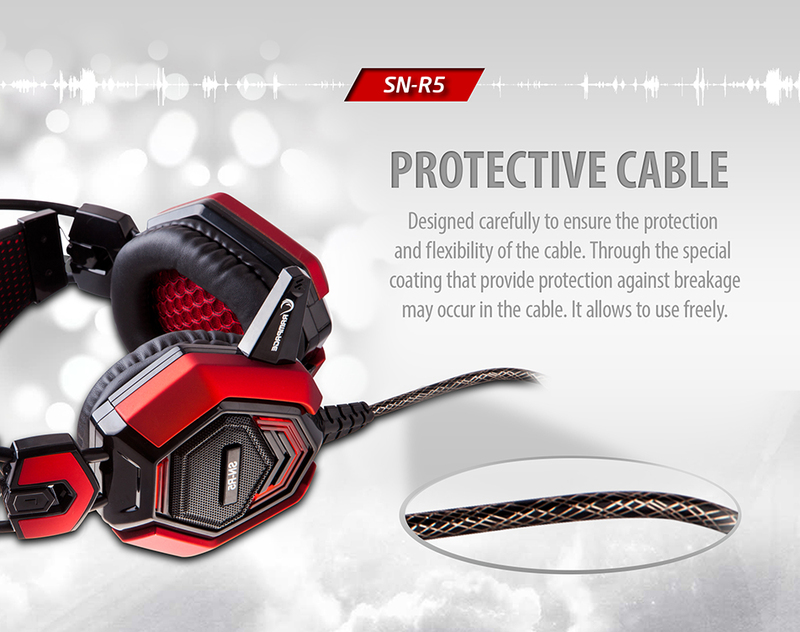 Through the special coating that provides protection against breakage may occur in the cable. It allows using freely. 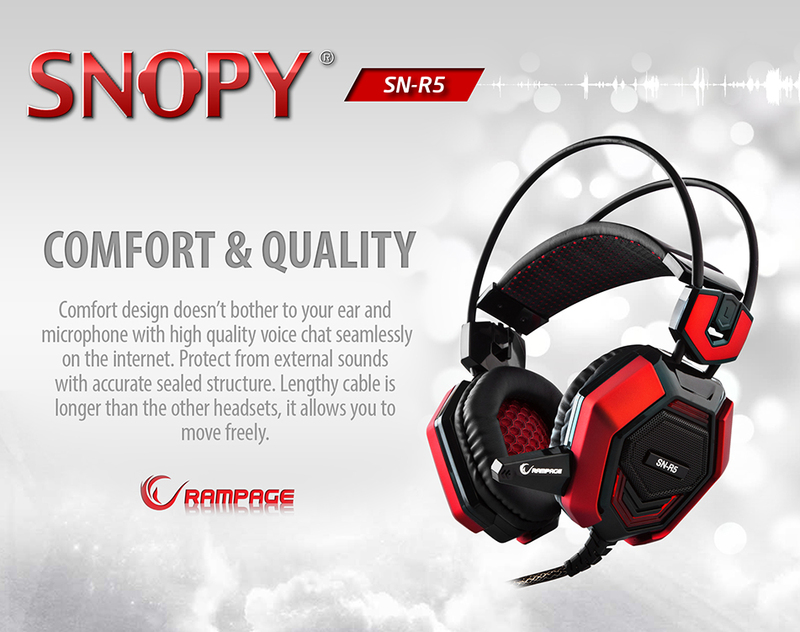 Snopy RAMPAGE SN-R5 owing to the high-quality material, it has a very durable structure. Especially multiple uses are great advantages. Attractive design and flexibility please to you. It will provide great benefits. Microphone fix on the speaker to provide maximum performance. Microphone place on speaker's cable to protect microphone's Speaker from external factors. It is much more durable and useful. 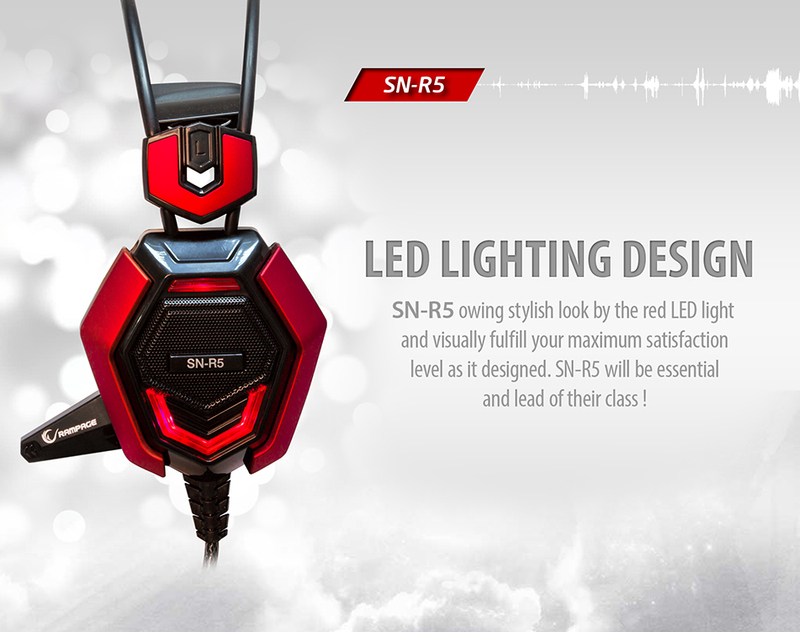 SN-R5 has stylish look by Red LED light, visually fulfil your maximum satisfaction level as it designed. SN-R5 will be essential and lead of their class. 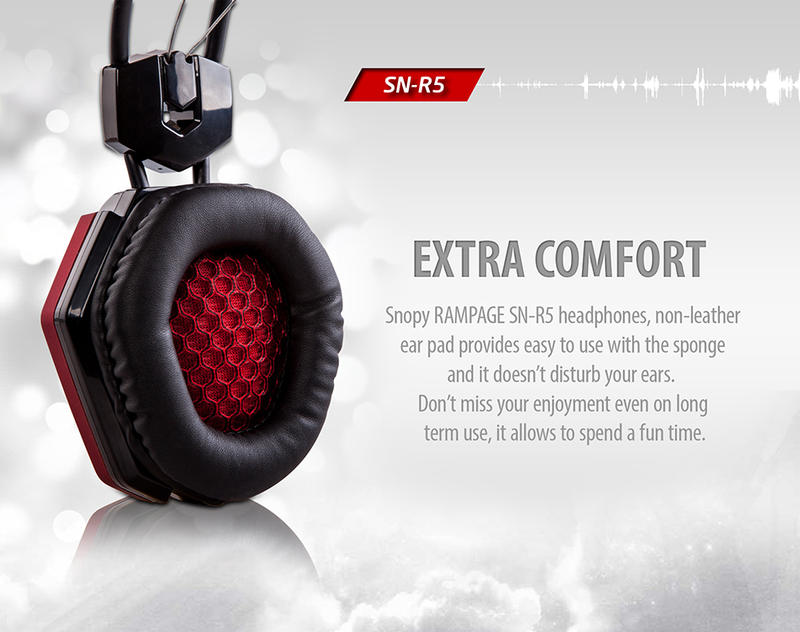 Snopy Rampage SN-R5 headphones, non-leather earpad provides to use with the sponge and it doesn't disturb your enjoyment even on long-term use, it allows to spend a fun time. 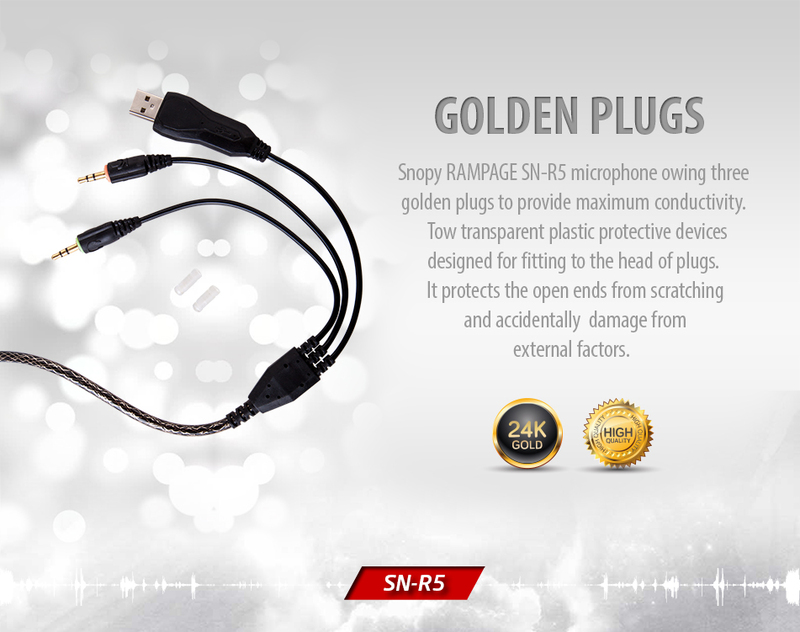 Snopy RAMPAGE SN-R5 microphone has three golden plugs to provide maximum conductivity. Two Transparent Plastic protective devices designed for fitting to the head of plugs. It protects the open ends from scratching and accidental damage from external factors.